As you'd expect from an A-list foodie city, Vancouver's celebrated offerings are constantly evolving, as trends come and go. Gastown, the city's oldest 'hood, with its cobblestoned atmosphere, is a great starting point. Pourhouse Restaurant exudes a sassy speakeasy spirit and a menu to match, like rabbit terrine with mustard and bread and butter pickles. Are you a pizza aficionado? You'll probably recognise the Gastown streetscape from 50 Shades of Grey, which was filmed here. Fancy some creative mixology? Head to Chill Winston for the evocatively named Ritual Sacrifice cocktail — Victoria Gin, Aperol, grapefruit tea, lemon and peach bitters. Edible Canada, part of Granville Island markets. Another top Gastown destination is L'Abattoir, where French-influenced Pacific Northwest cuisine forms the basis of its menu. It's a great spot to get your fill of fresh halibut, and the delicate flavour of British Colombia's spot prawns. In a city famed for its serious surfeit of Starbucks joints (over 100 at last count), re-caffeinate at Milano Gastown, a trailblazer roaster and coffee-maker, with an espresso tasting bar. Prado Cafe is another stellar stop, home to four-time Canadian Barista Champion and first winner of World Latte Art Championship. Another revitalised historic district is the old warehouse haunt of Yaletown, now throbbing with tech workers augmenting reality. Foodie hot-spots include Wild Tale Coastal Grill, for sustainable seafood like the local oysters. Homer Street Café is a cracker. Their rotisserie chicken is one of the nest things you could shove in your mouth, but the people who do it here somehow look chic and French. 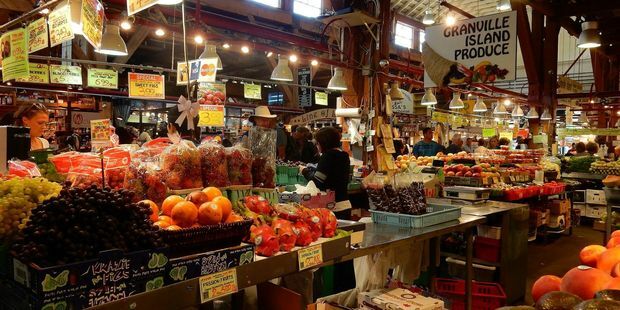 The crown jewel of the city's culinary scene is Granville Island Public Market. 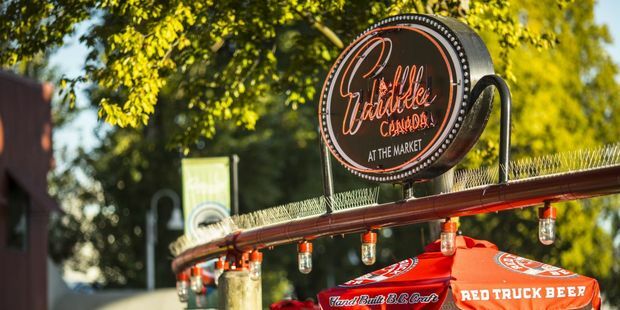 Technically the island is actually a sandbar, but semantics aside, the public market is the second most visited visitor attraction in Canada, after Niagara Falls! It's part farmer's market, part food hall and part arts fair. It's absolutely where you'll be rubbing shoulders many top restaurant chefs, as they source ingredients for the evening menu. With more than 150 permanent retailers and vendor stalls, the abundance of temptation is a formidable test of impulse control. Graze your way on fragrant pastries and artisan cheese, although for more substantial dining, the international food court at the heart of the market is where to head. My recommended stops include Benton Brother's Fine Cheese, Oyama Sausage Company and Edible Canada. Their flavoured bacon salt is a taste sensation in its own right! Do not miss sampling a honey-dipped donut from Lee's Donuts. Another area signature is Granville Island Brewing. Pop in for a very agreeable Maple Cream Ale! Guests chat in the lush interior garden courtyard, fringed with palms. It is ultra-hip and seriously groovy, fresh from a tip-to-toe makeover. The Burrard has transformed what was a stale 1950s downtown motel into a chic and playful boutique hotel with an unmistakably retro-cool vibe. Accommodations are compact but undeniably comfy, loaded with creature comforts and contemporary flourishes, including luxurious bedding, flat screen TVs, free Wi-fi, iPod docking stations and Nespresso coffee machines. The 72 guest rooms open out on to a lush interior garden courtyard, thronging with palms. 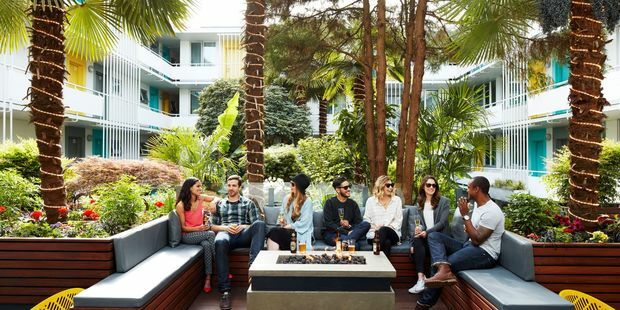 It's a stunning little oasis for urban lounging. The hotel also treats guests to free-use cruiser bikes and North American phone calls. The staff are fabulously informed and fizzing at the bung with insider tips on where to go, whether it be a fun-filled bike route or post-pedal cocktail. I always enjoy the thrill of discovering a stand-out hotel with a fabulously distinct personality. The ultimate antidote to cookie-cutter hotels, The Burrard (theburrard.com) is a class-act. 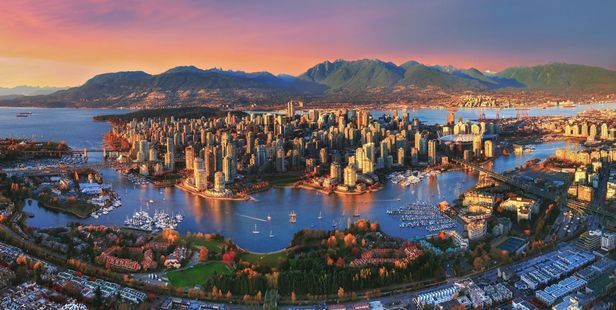 Wherever you choose to stay in Vancouver, lock in your accommodation through Hotels.com, which was fast, efficient and packed with great deals. Hotels.com Rewards gives you one free night after 10 nights booked — which you can bank for future holidays.